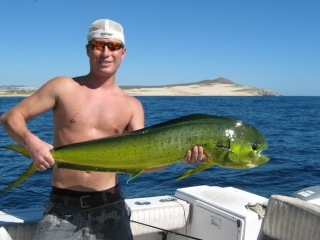 Yea Bro, way to go! 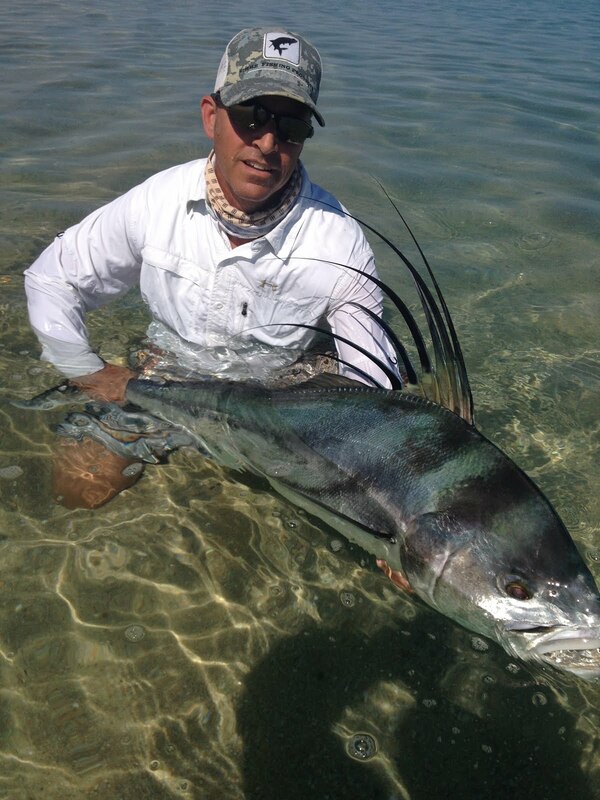 Randy Gibbs just caught and released this beautiful striped marlin on the fly Beautiful fish Merry Christmas Randy! 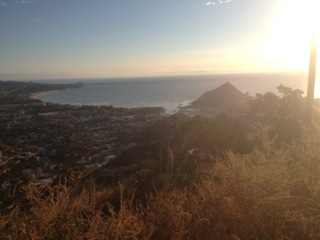 Check out our Christmas greeting to all you. 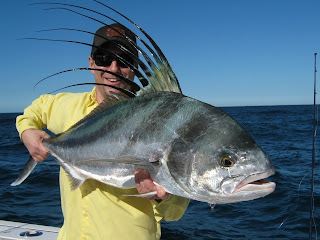 Merry Christmas from all of us at Baja Anglers. 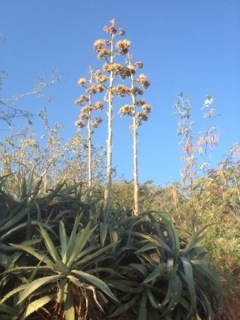 I need to download and send pictures. I have to get the guys cameras out of their hands, then I will download the photos. 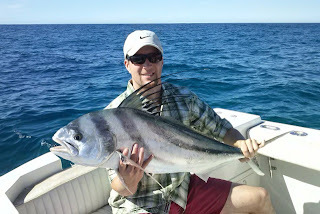 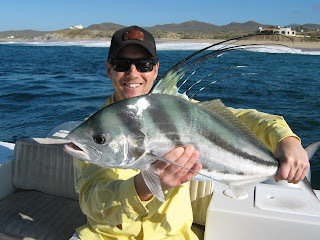 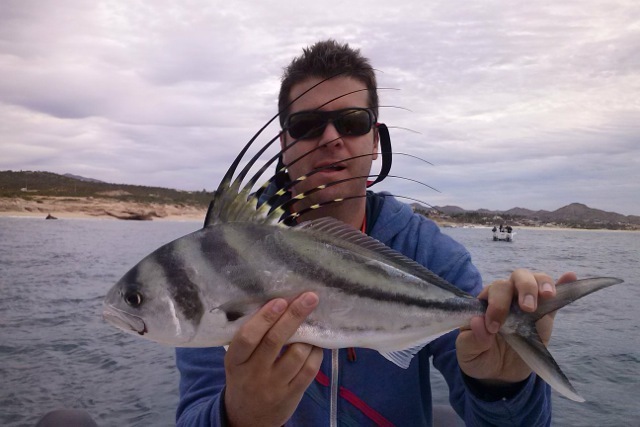 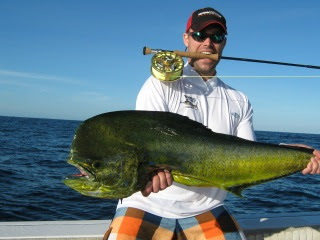 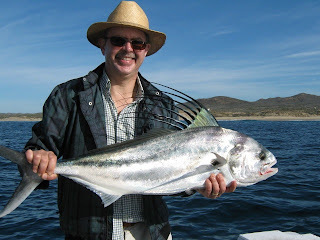 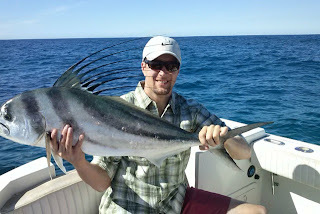 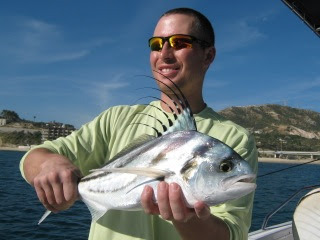 Fishing is good on most days and we are catching roosterfish, jacks inshore and dorado and marlin offshore. 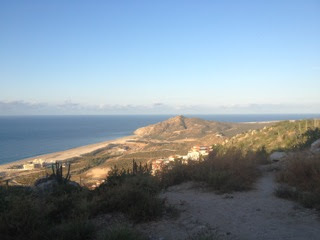 Our Gorgeous weather returned to Cabo and its just beautiful. 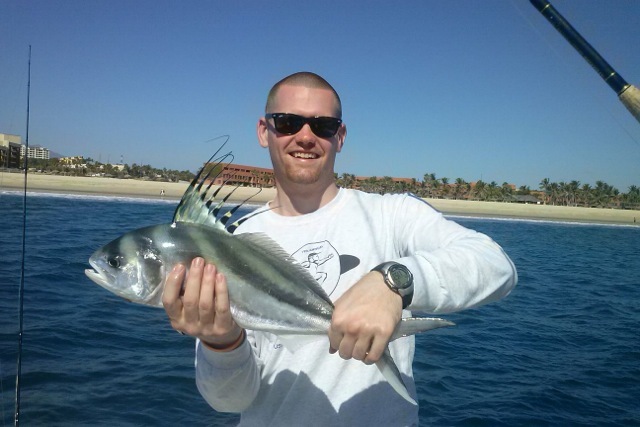 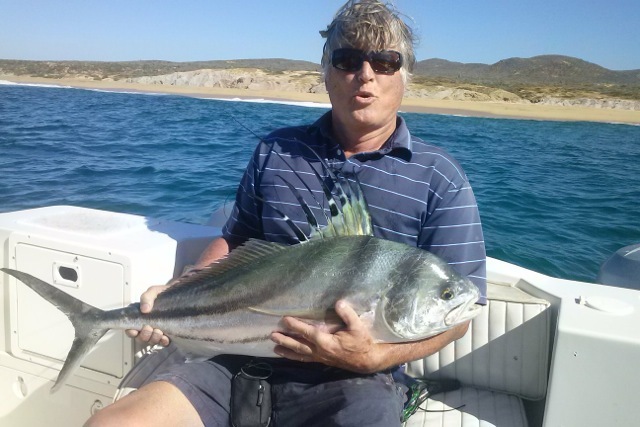 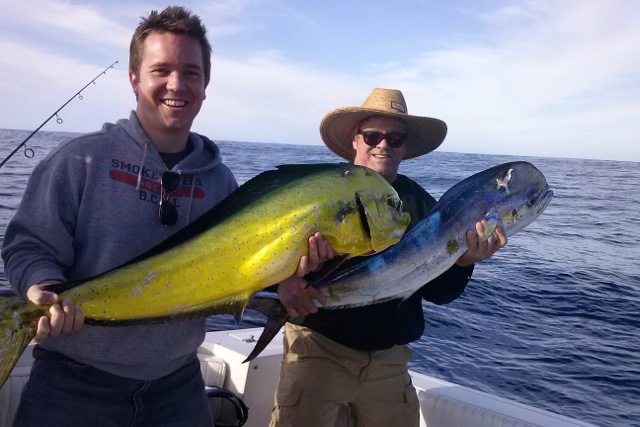 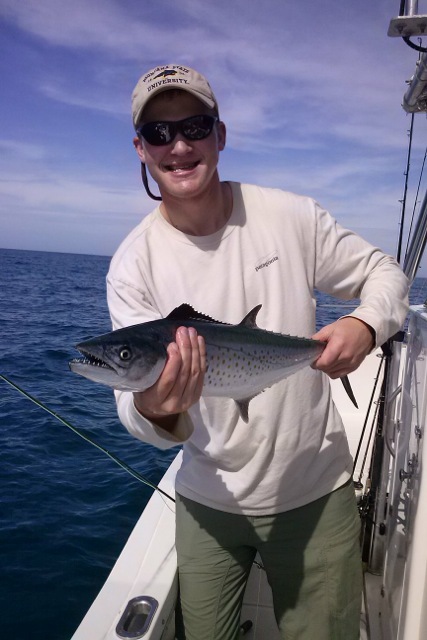 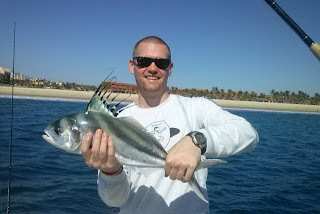 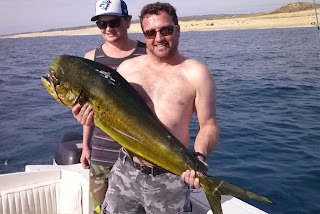 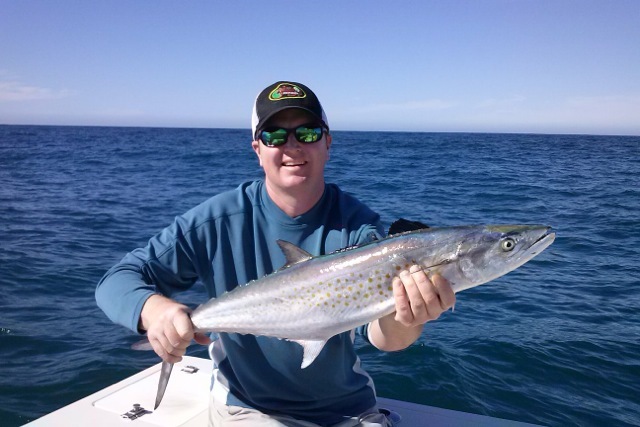 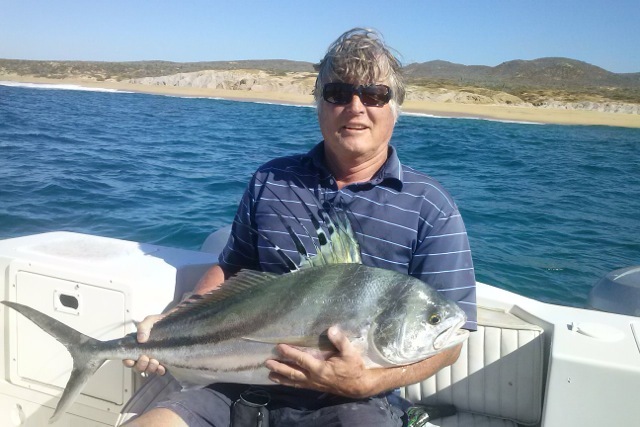 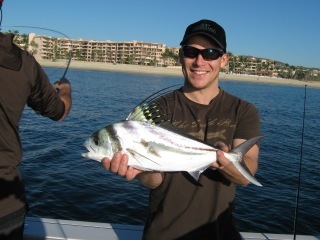 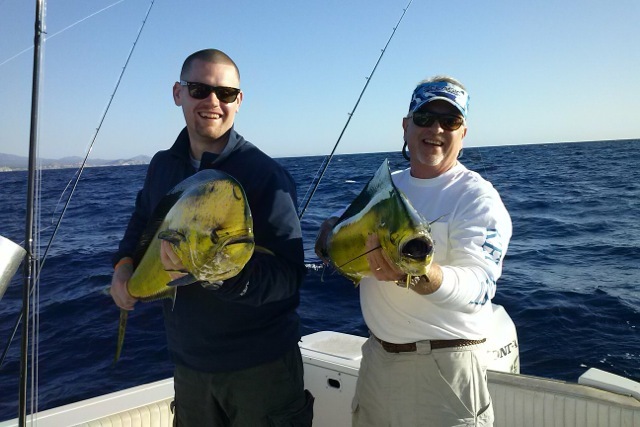 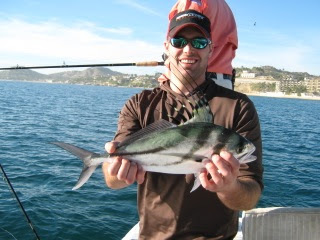 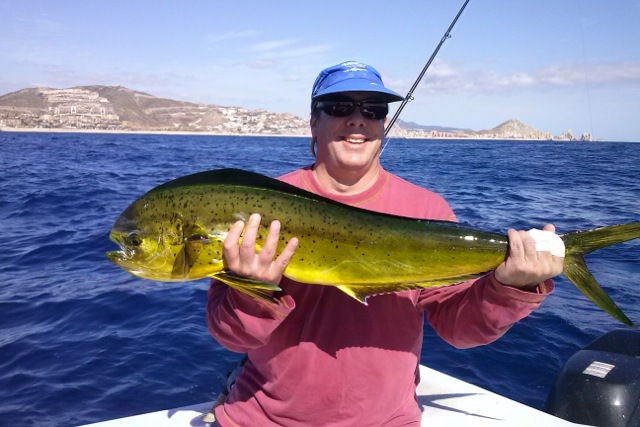 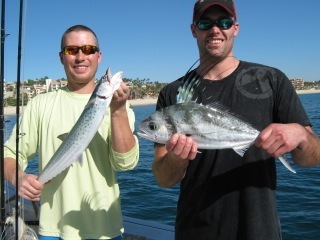 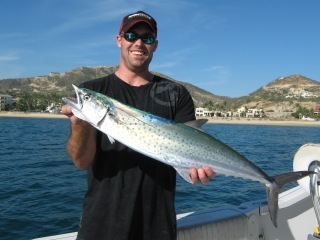 John had fun catching wahoo, roosters and dorado on the fly. I got to visit with John for a while and what a great guy. 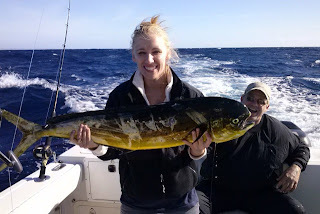 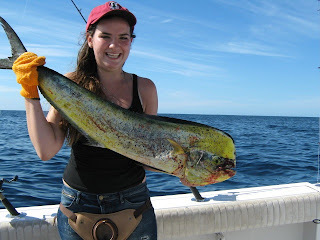 Lots of fun and just loves to fish...Thanks for fishing with us and looking forward to your next trip down. 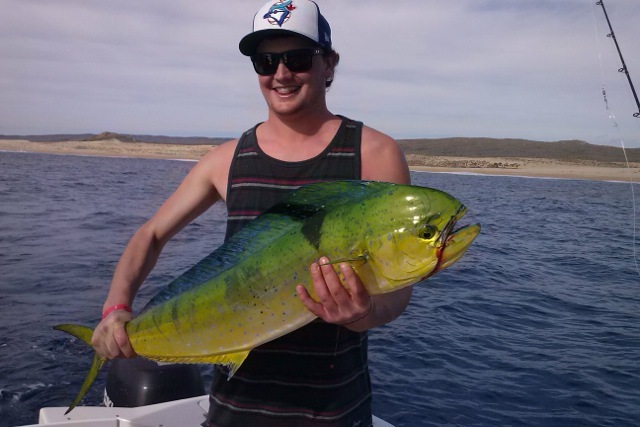 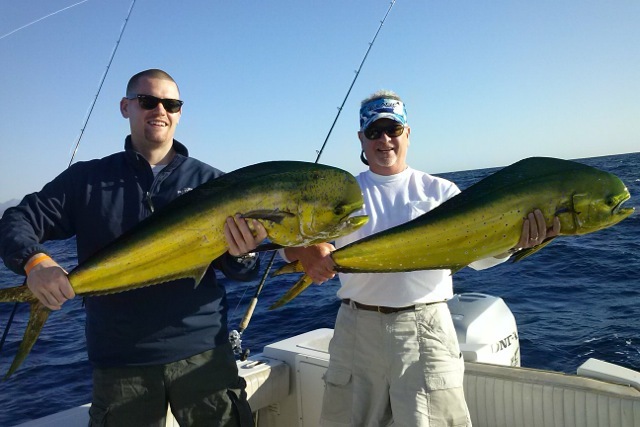 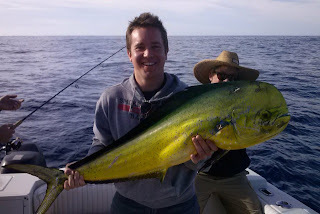 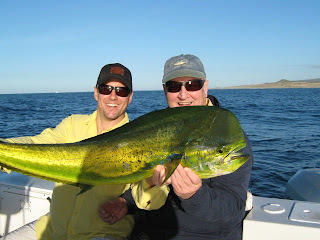 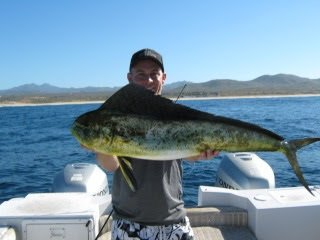 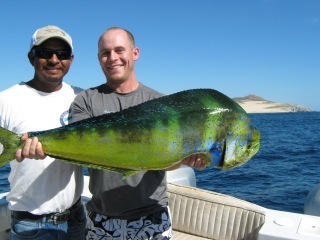 The guys got into some nice dorado the next day...Plenty of smiling faces. 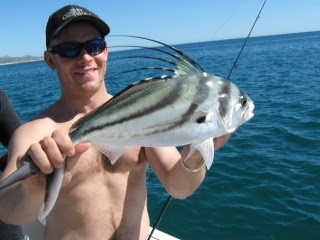 I have been saying for a while, once the water temps drop the fishing is going to take off...Nate said that they caught well over 25 roosterfish on the fly as well as a few really big sierras.. None of the roosters were big, but they were a lot of fun to catch..
Are bananas bad luck? 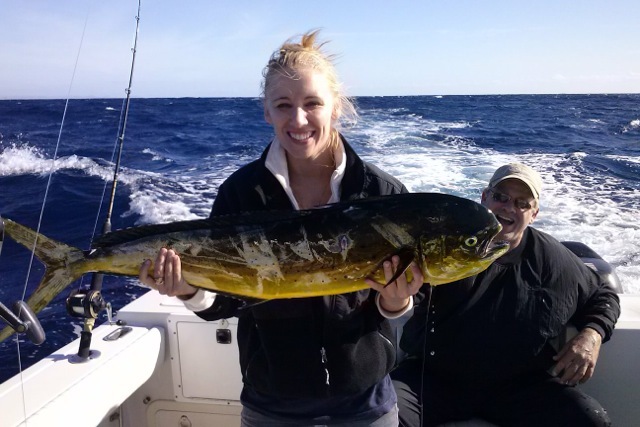 Apparently not… Fish ON!